Brick-and-mortar retailers are looking for salvation in an unlikely place: The e-commerce rivals blamed with causing their recent challenges in the first place. On Monday, Macy’s announced that it had tapped a top eBay executive as its new president as part of a broader overhaul. Former senior vice president of eBay North America Hal Lawton will be installed as the department store’s new president beginning next month. Macy’s said it also is consolidating management of its merchandising, planning and private brands into a single department, a change that will cost around 100 jobs. The company heralded the changes as a step forward. “With Hal on the team, we will accelerate the integration of digital both online and in our stores,” Macy’s CEO Jeff Gennette said in a statement. “The growth area is definitely online versus in stores,” said Bridget Weishaar, senior equity analyst at Morningstar. “Investing in people who have a background in and a deep knowledge in how to execute on that makes a whole lot of sense,” she said. "There really isn’t a single department store that’s not focusing on digital." Some experts even say traditional retailers’ survival might depend on this strategy. “They need to massively strengthen their presence and expertise in internet commerce and mobile commerce in order to even have a chance of meaningfully competing with online behemoths like Amazon. Otherwise, the chance of their survival is low,” Anindya Ghose, a professor at New York University’s Stern School of Business, told NBC News. Related: So Amazon Bought Whole Foods: What Does That Mean for Me? 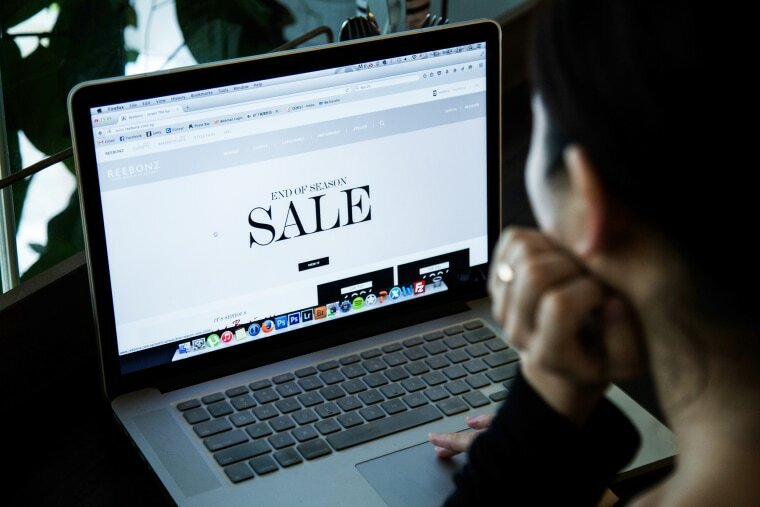 Even as brick-and-mortar retailers are hoping the same e-commerce competition that eroded their dominance can save them in a new digitally driven retail landscape, analysts caution that they need to be realistic about the limits of this strategy — and about their own slow response in adapting to a new retail landscape. "It’s about bringing in people who think differently about retail." And installing one or even several executives with e-commerce backgrounds is just one part of the equation, Hogan said. The other crucial factor is stripping out legacy management cultures that move too slowly to deliver trends to today’s speed and convenience-focused customer base, whether those shoppers ultimately make purchases online or in a physical location. “Obviously, when you add digital to the equation, it speed things up quite a bit there. The retailer needs to move faster,” Hogan said. Today’s legacy store brands need top management who understand this dynamic as well as the purely technological aspects, Witcher told NBC News. “As much as this is about bringing in talent, it’s about bringing in people who think differently about retail in general and know how to address the needs of today’s digitally savvy retail consumer,” he said.